Editor’s note: Today we’re featuring back-to-back episodes of Whiteboard Friday from our friends at Stone Temple Consulting. Make sure to also check out the first episode, “Becoming Better SEO Scientists” from Mark Traphagen. 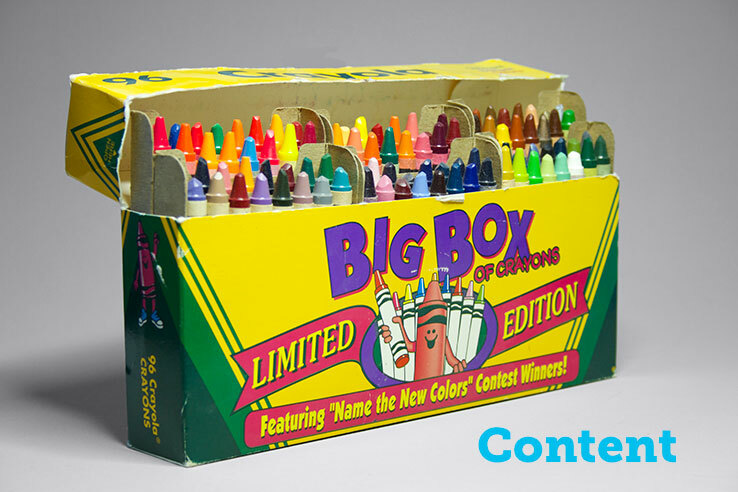 User experience and the quality of your content have an incredibly broad impact on your SEO efforts. 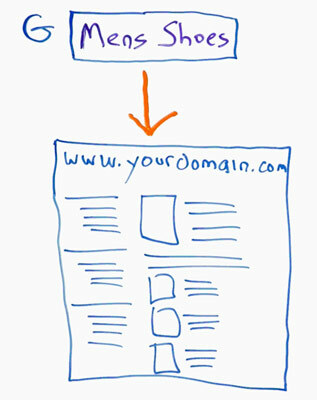 In this episode of Whiteboard Friday, Stone Temple’s Eric Enge shows you how paying attention to your users can benefit your position in the SERPs. Hi, Mozzers. I’m Eric Enge, CEO of Stone Temple Consulting. 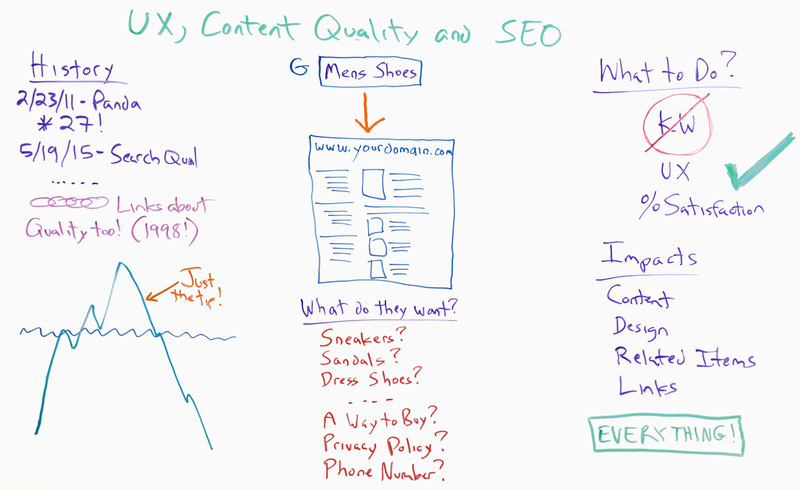 Today I want to talk to you about one of the most underappreciated aspects of SEO, and that is the interaction between user experience, content quality, and your SEO rankings and traffic. I’m going to take you through a little history first. 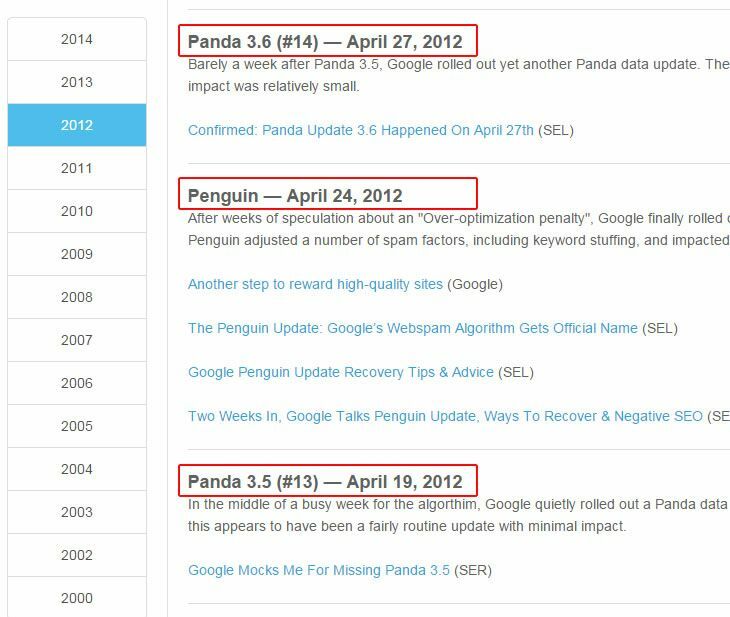 You know, we all know about the Panda algorithm update that came out in February 23, 2011, and of course more recently we have the search quality update that came out in May 19, 2015. Our Panda friend had 27 different updates that we know of along the way. So a lot of stuff has gone on, but we need to realize that that is not where it all started. 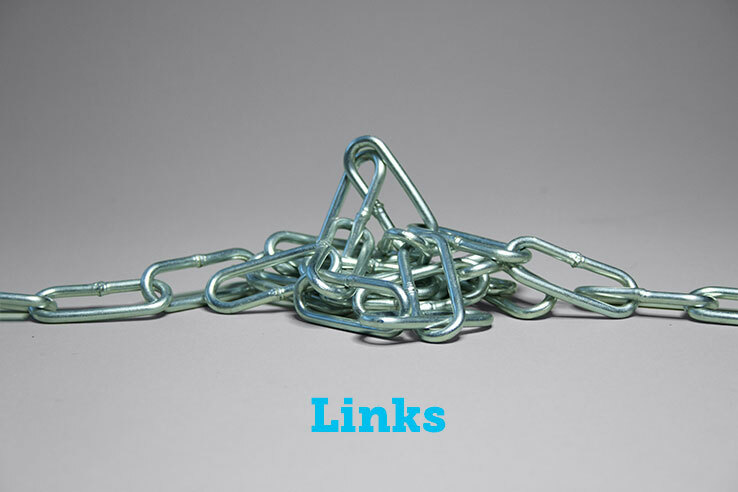 The link algorithm from the very beginning was about search quality. 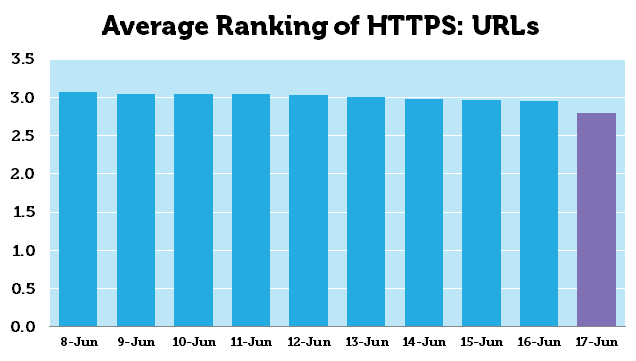 Links allowed Google to have an algorithm that gave better results than the other search engines of their day, which were dependent on keywords. These things however, that I’ve just talked about, are still just the tip of the iceberg. Google goes a lot deeper than that, and I want to walk you through the different things that it does. So consider for a moment, you have someone search on the phrase “men’s shoes” and they come to your website. What is that they want when they come to your website? 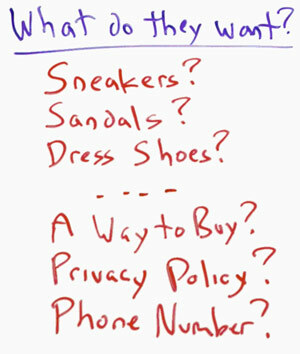 Do they want sneakers, sandals, dress shoes? Well, those are sort of the obvious things that they might want. But you need to think a little bit more about what the user really wants to be able to know before they buy from you. So as we think about this, what is it that we can do to do a better job with our websites? Well, first of all, lose the focus on keywords. Don’t get me wrong, keywords haven’t gone entirely away. But the pages where we overemphasize one particular keyword over another or related phrases are long gone, and you need to have a broader focus on how you approach things. User experience is now a big deal. You really need to think about how users are interacting with your page and how that shows your overall page quality. Think about the percent satisfaction. If I send a hundred users to your page from my search engine, how many of those users are going to be happy with the content or the products or everything that they see with your page? You need to think through the big picture. 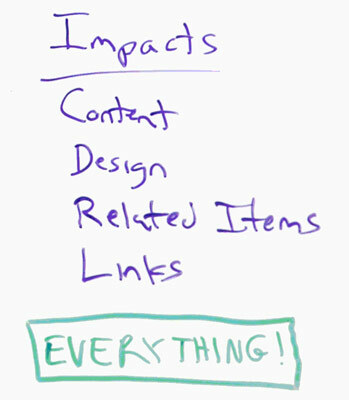 So at the end of the day, this impacts the content on your page to be sure, but a lot more than that it impacts the design, related items that you have on the page. So let me just give you an example of that. I looked at one page recently that was for a flower site. It was a page about annuals on that site, and that page had no link to their perennials page. Well, okay, a fairly good percentage of people who arrive on a page about annuals are also going to want to have perennials as something they might consider buying. So that page was probably coming across as a poor user experience. So these related items concepts are incredibly important. Then the links to your page is actually a way to get to some of those related items, and so those are really important as well. What are the related products that you link to? Finally, really it impacts everything you do with your page design. You need to move past the old-fashioned way of thinking about SEO and into the era of: How am I doing with satisfying all the people who come to the pages of your site? Thank you, Mozzers. Have a great day. My site has been up since 2004. I had good traffic growth up to 2012 (doubling each year to around a million page views a month), then suffered a 40% drop in mid Feb 2012. I’ve been working on everything that I can think of since, but the traffic has never recovered. Since my primary business is performing strategic site audits, this is something I hear often. Site appears to be doing quite well, then gets slammed. Site owner struggles for years to fix it, but repeatedly comes up empty. It can be devastating when that happens. And now more than ever, site owners need real solutions to serious problems. 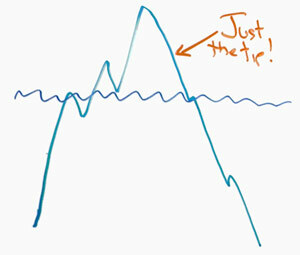 As this chart shows, when separating out the “expected” roller coaster effect, Google organic traffic took a nose-dive in early February of 2012. Google Algorithm Change History charts to see if I can pinpoint a known Google update that correlates to a drop. Except in this case, there was no direct “same day” update listed. A week before, there’s an entry listed that references integrating Panda into the main index more, however discussion around that is this change happened sometime in January. So maybe it’s Panda, maybe it’s not. At this point, I expanded the timeline view to see if I could spot other specific drops and possibly associate them to known updates. I did this because some sites that get hit once, get hit again and again. Well now we have a complete mess. At this point, if you’re up for the challenge, you can take the time to carefully review all the ups and downs manually, comparing drops to Moz’s change history. the Panguin Tool. It allows you to see this timeline with a “known update” overlay for various Google updates. Saves a lot of time. So that’s what I did. Well okay this is an ugly mess as well. If you think you can pin enough of the drops on specific factors, that’s great. What I like about the Panguin Tool is you can “turn off” or “hide” different update types to try and look for a consistent issue type. Alternately, you can zoom in to look at individual updates and see if they align with a specific, clear drop in traffic. 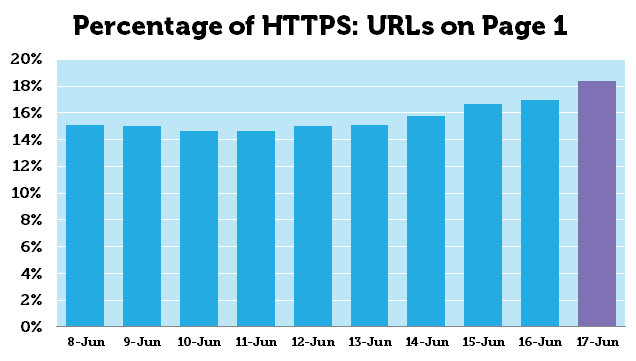 Looking at this chart, it’s pretty clear the site saw a second dropoff beginning with Panda 3.3. The next dropoff aligned with updates appears to be Panda 3.4, however it was already in a slide after Panda 3.3 so we can’t be certain of this one. Multiple other updates took place after that where there may or may not have been some impact, followed by further cascading downward. Then, in the midst of THAT dropoff, we see a Penguin update that also MAY or MAY NOT have played into the problem. 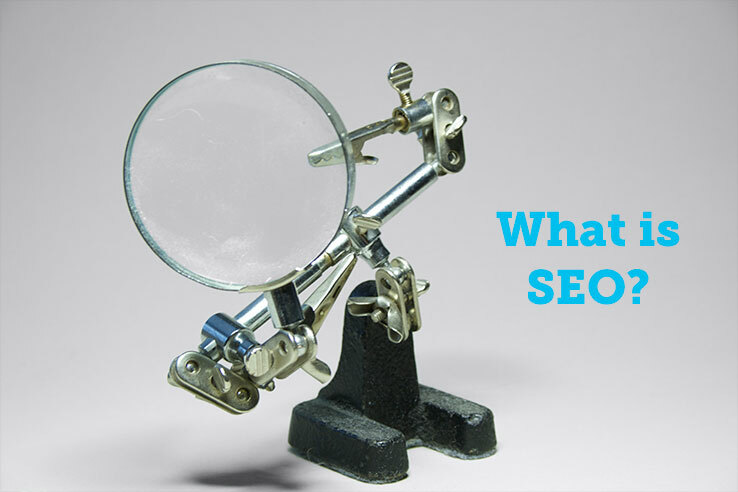 This is a great time to bring up the fact that one of the biggest challenges we face in dealing with SEO is the ambiguous nature of what takes place. We can’t always, with true certainty, know whether a site has been hit by any single algorithm change. In between all the known updates, Google is constantly making adjustments. The other factor here is that when a given update takes place, it doesn’t always roll out instantly, nor is every site reprocessed against that latest change right away. Here’s where evaluating things becomes even more of a mess. When an algorithm update takes place, it may be days or even weeks before a site sees the impact of that, if at all. And once it does, whatever changes to the overall status of a site come along due to any single algorithm shift, other algorithms are sometimes going to then base formulaic decisions on that new status of a site. So if a site becomes weaker due to a given algorithm change, even if the drop is minimal or non-observant, it can still suffer further losses due to that weakened state. I refer to this as the “cascading impact” effect. Okay so lets say you’re dealing with a site that appears to have been hit by multiple algorithm updates. Maybe some of them are Panda, maybe others aren’t Panda. The only correct approach in this scenario is to step back and understand that for maximum sustainable improvement, you need to consider every aspect of SEO. Heck, even if a site was ONLY hit by Panda, or Penguin, or the “Above the Fold” algorithm, I always approach my audits with this mindset. It’s the only way to ensure that a site becomes more resilient to future updates of any type. And when you approach it this way, because you’re looking at the “across-the-board” considerations, you’re much more likely to address the actual issues that you can associate with any single algorithm. It was at this point where I began to do my work. With every single factor across the full spectrum of signals in SEO, I apply the QUART* test. Any single signal needs to score high in at least three of the five super-signals. Whether it’s a speed issue, a crawl efficiency issue, topical focus, supporting signals on-site or off-site, whatever it is, if that signal does not score well with quality, uniqueness or relevance, it leaves that page, that section of a site, or that site as a whole vulnerable to algorithmic hits. If you get those three strong enough, that signal will, over time, earn authority and trust score value as well. If you are really strong with relevance with any single page or section of the site, but weak in quality or uniqueness, you can still do well in SEO if the overall site is over-the-top with authority and trust. *When I first came up with this acronym, I had the sequence of letters as QURTA, since quality, uniqueness, and relevance are, in my opinion, the true ideal target above all else. 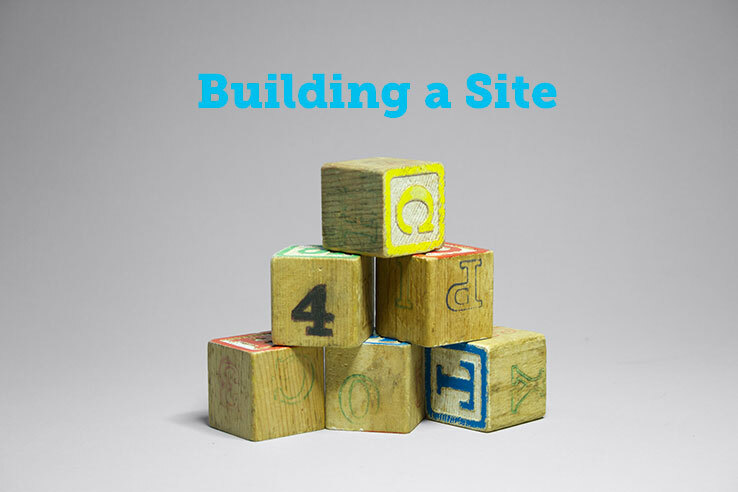 New sites don’t have authority or trust, yet they can be perfectly good, valuable sites if they hit those three. Except Jen Lopez suggested that if I shift the letters for the acronym, it would make it a much easier concept for people to remember. Thanks Jen! Lets say you have one single page of content. It’s only “okay” or may even be “dismal” in regard to quality and uniqueness. Even if you do, and if the site’s overall authority and trust are strong enough, you can outrank an entire site devoted to that specific topic. This happens all the time with sites like Wikipedia, or Yahoo Answers. Don’t you hate that? Yeah, I know—Yahoo Answers? Trust? Ha! Sadly, some sites have, over time, built so much visibility, brand recognition, and trust for enough of their content, that they can seemingly get away with SEO murder. It’s frustrating to see. Yet the foundational concept as to WHY that happens is understandable if you apply the QUART test. One challenge this site has is that there’s also a separate mobile subdomain. Looking at the Google traffic for that shows similar problems, beginning back in February of 2012. Note that for the most part, the mobile site suffered from that same major initial hit and subsequent downslide. The one big exception was a technical issue unique to the mobile site at the end of 2012 / beginning of 2013. Understanding the QUART concept, and having been doing this work for years, I dove head-first into the audit. different primary pages on the site. Google Analytics Page Timings data, URIValet.com 1.5 mbps data, and also WebPageTest.org (testing from different server locations and at different speeds including DSL, Cable and Mobile). For this site, since not every single page had crisis speed problems, I was looking to have the site owner at least get to a point of better, more consistent stability. So while there’s still room for vast improvement, the work performed went quite far in the right direction. The first issue tackled was the fact that at the template level, the various pages on the site were calling several different processes across several different domains. A great resource to use for generating lists of what third party processes individual pages use that I rely upon is a report in the WebPageTest.org results. It lists every domain called for the page tested, along with total processes called from those, and gives separate data on the total file sizes across each. Reducing the number of times a page has to call a third party domain, and the number of times an individual process needs to be run is often a way to help speed up functionality. By eliminating functionality that was dependent upon third party servers meant less DNS lookups, and less dependance upon connections to other servers somewhere else on the web. Typical service drains can often come from ad blocks (serving too many ads from too many different ad networks is a frequent speed drain culprit), social sharing widgets, third party font generation, and countless other shiny object services. Yeah, I know—you don’t have to have 100% validated code for SEO. Except what I’ve found through years of this work, is that the more errors you have in your markup, the more likely there will be potential for processing delays, and beyond that, the more likely search algorithms will become confused. And even if you can’t prove in a given site that cleaner code is a significant speed improvement point, it’s still a best practice, which is what I live for. So it’s always included in my audit evaluation process. Google Webmaster Tools, Google Page Speed Insights, and again WebPageTest.org among others. 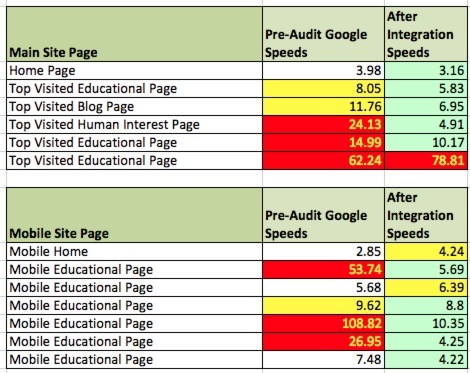 Note: Google Page Speed Insights recommendations and WebPageTest.org’s grade reports only offer partial insight. What they do offer however, can help you go a long way to making speed improvements. Another common problem I find is where a site evolves over time, many of the URLs change. When this happens, site owners don’t properly clean up their own internal links to those pages. The end result is a weakening of crawl efficiency and then user experience quality and trust signals. Remember that Google and Bing are, in fact, users of your site. Whether you want to admit it or not. So if they’re crawling the site and run into too many internal redirects (or heaven forbid redirect loops), or dead ends, that’s going to make their systems wary to want to bother continuing the crawl. And abandoning the crawl because of that is not helpful by any stretch of the imagination. Screaming Frog. That tool gives me many different insights, only one of which happens to be internal link problems. Yet it’s invaluable to know. And if I find enough of a percentage of that sample crawl URLs are redirecting or dead ends, that needs to get fixed. While having link redirects and dead ends pointing to outside sources isn’t ideal, it’s less harmful most of the time than internal redirects and dead ends. Except when it’s not. In this case, the site had previously been under a different domain name prior to a rebranding effort. And after the migration, it resulted in some ugly redirect loops involving the old domain! At this point, the audit moved from the truly technical issues to the truly content related issues. Of course, since it’s algorithms that do the work to “figure it all out,” even content issues are “technical” in nature. Yet that’s a completely different rant. So let’s just move on to the list of issues identified that we can associate with content evaluation. Yeah, I know—some of you think these are irrelevant. They’re really not. They are one more contributing factor when search engines look to multiple signals for understanding the unique topic of a given page. Typical scenario here: a lot of pages that have very little to no actual “unique” content—at least not enough crawlable content to justify their earning high rankings for their unique focus. Be aware—this doesn’t just include the content within the main “content” area of a page. If it’s surrounded (as was the case on this site) by blocks of content common to other pages, or if the main navigation or footer navigation are bloated with too many links (and surrounding words in the code), and if you offer too many shiny object widgets (as this site had), that “unique” content evaluation is going to become strained (as it did for this site). You can have the greatest videos on the planet on your site. And yet, if you’re not a CNN, or some other truly well established high authority site, you are almost always going to need to add high quality, truly relevant content to pages that have those videos. So that was done here. And I’m not just talking about “filler” content. In this case (as it always should be) the new content was well written and supportive of the content in the videos. On pages that were worth salvaging but where there was thin content, I never recommend throwing those out. 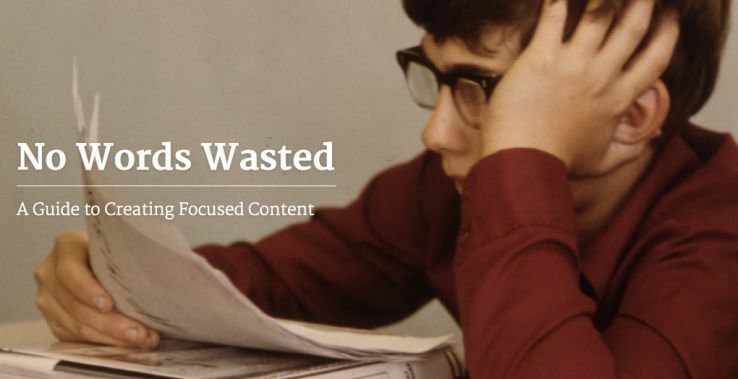 Instead, take the time to add more value content, yes. But also, consider eliminating some of those shiny objects. For this site, the reduction of those vastly improved the uniqueness of those pages. Flat architecture is an SEO myth. Want to know how I know this? I read it on the Internet, that’s how! Oh wait. That was ME who said it. It claims “every one of these pages is as important as every other page on my site. It also severely harms your need to communicate “here’s all the content specific to this category, or this sub-category”. And THAT harms your need to say “hey, this site is robust with content about this broad topic”. So please. Stop with the flat architecture. And no, this is NOT just for search engines. Users who see proper URL funnels can rapidly get a cue as to where they are on the site (or as they look at that in the search results, more confidence about trust factors). So for this site, reorganization of content was called for and implemented. Yes—breadcrumbs are helpful. because they reinforce topical focus, content organization, and improvements to user experience. Pop-up windows. They’re great for sharing additional information to site visitors. Except when you allow those to become indexable by search engines. Then all of asudden, you’ve got countless random pages that, on their own, have no meaning, no usability, and no way to communicate “this is how this page relates to all these other pages over there”. They’re an SEO signal killer. 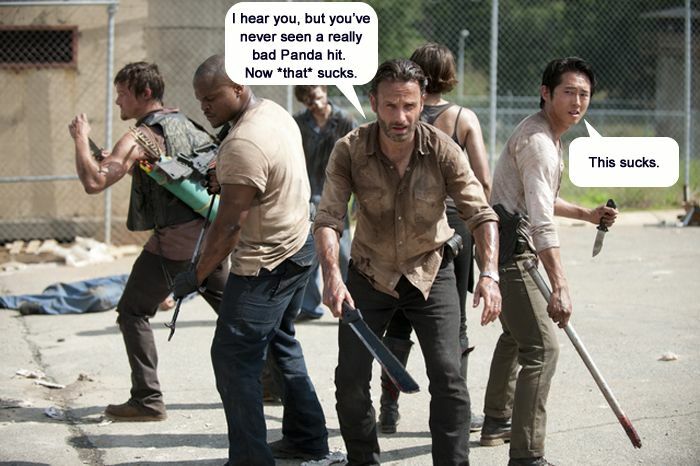 So we lopped them out of the mix with a machete. Sometimes you may want to keep them indexable. If you do, they need full site navigation and branding, and proper URL hierarchical designations. So pay attention to whether it’s worth it to do that or not. One particular widget on the site was confusing from a UX perspective. 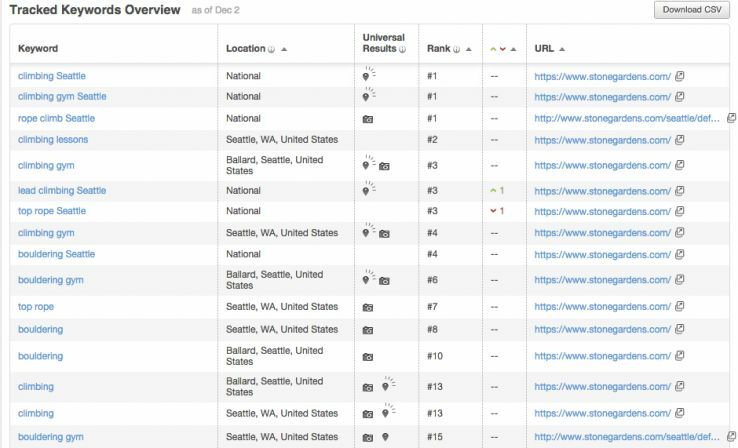 This particular issue had as much to do with site trust and overall usability as anything, and less to do with pure SEO. Except it caused some speed delays, needless site-jumping, repetition of effort and a serious weakening of brand trust. And those definitely impact SEO, so it was eliminated. Duplicate content. Eliminated. ’nuff said? More duplicate content issues. Sometimes you can keep these, however if multiple category assignments get out of hand, it really IS a duplicate content problem. So in this case, we resolved that. Old brand, new brand—both were intermingled after the site migration I previously described. 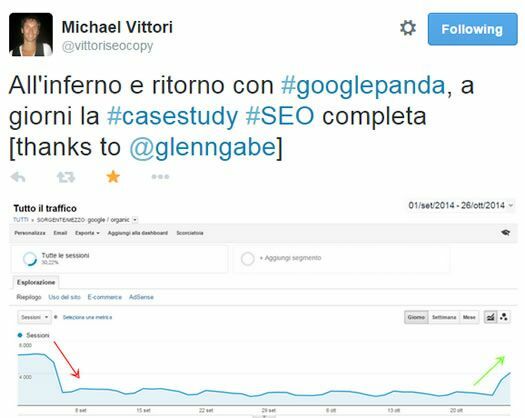 Some of it was a direct SEO issue (old brand name in many page titles, in various on-site links and content) and some was purely a UX trust factor. Again, this was a migration issue gone wrong. Half the site had consistent top navigation based on the new design, and half had imported the old main navigation. An ugly UX, crawl and topical understanding nightmare. Some of the bizarre auto-generated meta descriptions Google had been presenting on various searches was downright ugly. 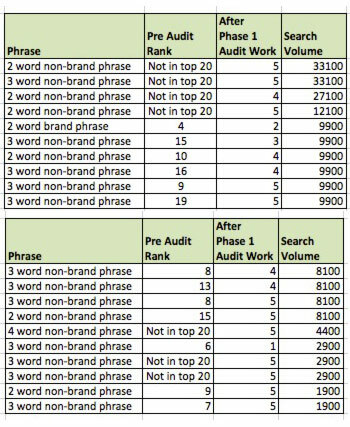 Killed that click-block dead by adding meta descriptions to over 1,000 pages. Not a problem you say? Ask Duane Forrester. He’ll confirm—it’s one of many signal points they use to seek out potential over-optimization. So why risk leaving them there? While I found some toxic inbound links in the profile, there weren’t many on this site. Most of those actually disappeared on their own thanks to all the other wars that continue to rage in the penguin arena. So for this site, no major effort has yet gone into cleaning up the small number that remain. Okay so what did all of this do in regard to the recovery I mention in the title? You tell me. While the above charts show quite serious improvements since the implementation was started, there’s more work that remains. Google Ad Scripts continue to be a big problem. Errors at the code level and processing delays abound. It’s an ongoing issue many site owners struggle with. Heck—just eliminating Google’s own ad server tracking code has given some of my clients as much as one to three seconds overall page processing improvement depending on the number of ad blocks as well as intermittent problems on Googles ad server network. Except at a certain point, ads are the life-blood of site owners. So that’s a pain-point we may not be able to resolve. Other third party processes come with similar problems. 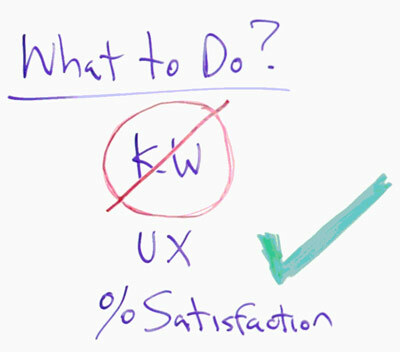 Sometimes third party “solution” providers are helpful to want to improve their offerings, however the typical answer to “your widget is killing my site” is “blah blah blah not our fault blah blah blah” when I know for a fact from countless tests, that it is. So in this case, the client is doing what they can elsewhere for now. And ultimately, if need be, will abandon at least some of those third parties entirely if they can get a quality replacement. And content improvements—there’s always more to do on that issue. 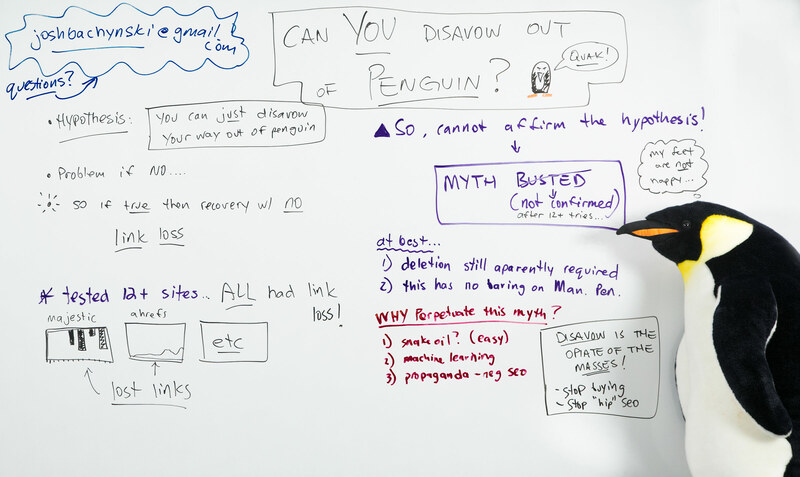 Penguin is back at the forefront of many marketers’ minds now that the third iteration of the algorithm update has been released, and a rumor has begun circulating that you can weasel your way out of a Penguin penalty by simply submitting a disavow file. In today’s Whiteboard Friday, Josh Bachynski breaks down that argument and starts a realistic discussion to find the answer. While we (and, as you’ll see, Josh) don’t have definitive answers, we hope you’ll join in with your thoughts in the comments! Hi. Welcome to Whiteboard Friday, and I’m your guest host for this week, Josh Bachynski. This week I’d like to talk about whether or not it is true that you can disavow your way out of the dreaded Penguin algorithm. So there is a hypothesis going around the SEO community that it is possible that you can just use a disavow file to get out of Penguin. Now, for those of you who don’t know, the disavow file is a feature that Google implemented a couple years ago where you can upload your spammy links into a file, very similar to robots.txt, and they will apparently remove those links out of your link graph or have them not count against you or something along those lines. 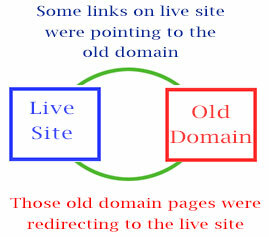 However, the hypothesis is — and Google has confirmed this both by John Mueller and Matt Cutts — that apparently if someone sends you bad links or you make bad links, however the link showed up, you can just disavow those links, you can put them in your disavow file, and this will help you get out of the Penguin algorithm. So this is the hypothesis, and not only does Google claim this is the case, but many SEOs claim this is the case as well. In fact, they go so far as to claim to have succeeded doing this for themselves or for clients, that they have just taken links and put them in the disavow file and those clients, on a Penguin refresh, have been saved from the terrible Penguin. It would be a large problem if this was not the case, because, as I mentioned, it is possible for people to simply buy a Fiverr blast — I don’t want to list off too many options to give you negative SEO ideas — but you could imagine scenarios where it’s pretty easy to build these spammy links pointing at sites and possibly get Google to notice them and then to milk those sites when Penguin 3 comes around or Penguin 4, the next iteration of Penguin. It would be very good if the disavow file worked. Personally, I’d like the disavow file to work if I could prove that it did. It is a problem, in a lot of ways, that it’s not, which I’ll get to in a second. However, if this is true, then there should be no recovery with link loss. For example, if this is true, that you can just disavow your way out of Penguin, then we should be able to find sites that escape on the Penguin date, but have deleted no links or we can tell have had no link loss whatsoever. That way, we can know that it was just a disavow file and not some combination of either deleting links on the disavow file or something else entirely. So if that is the case, that this hypothesis is true, then we can use a scientific method to determine that we should be able to find exemplars of the hypothesis. On the last Penguin 3, when it was released October 18th, for those people who claimed that they recovered and claim they did it only from a disavow file, I asked them to send me examples. I said, “Fine. Send me your URL, and I’d like to check it.” I tested over 12 sites altogether who claimed to have both recovered from Penguin on that date and to only use the disavow file or claimed to only use disavow file to do so. However, I found something rather striking, that every single one that I checked, they all had link loss. 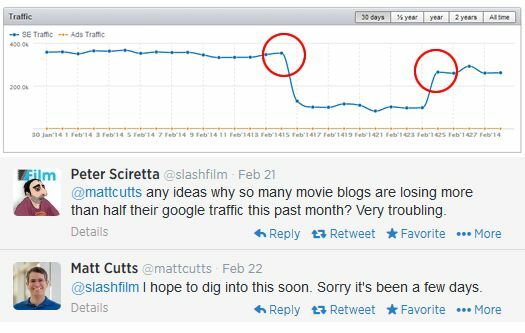 In either Majestic or Ahrefs or using the Moz tools, I found that they all had links that they lost a few months prior to the release of Penguin. Now whether they deleted the links and just lied to me, or whether they forgot they deleted the links, or whether the links just dropped off the link graph because, of course, web pages on the Internet change. For all we know, these could have been just scraper sites scraping them, giving them links that they didn’t even want, and those sites just disappear. However the links were lost, the links were lost. So, what does that tell us? Well, unfortunately, it tells us that I cannot confirm the hypothesis. After 12 tries, the hypothesis that you can just use the disavow file to escape Penguin, I was not able to confirm that hypothesis. The examples, the evidence that people sent me trying to prove this hypothesis proved to be false. So I say myth busted or at the very least myth not confirmed. I was not able to confirm it after 12 plus tries to do so. At best, all I can say after doing the testing and, of course, I just want to add this note in now, if anybody out there, anybody seeing this video claims to have recovered from Penguin and just done it solely from the disavow file and they didn’t delete any links and they didn’t lose any links, please, by all means, send it to me, because as I said, it’d be lovely. It’d be wonderful if that’s the way it worked, because then if someone is sending you a negative SEO attack, all you have to do is watch your backlinks on a daily basis and throw in there any ones that seems suspect. But as I said, I could not confirm that’s the way it works. At best, all I can confirm is that deletion of links or loss of links still apparently has to be required in some way, and then two, this experiment, of course, has absolutely no bearing whatsoever on the manual penalty process, which I won’t even get into, which the disavow file may or may not help with. I’m not talking about that for this Whiteboard Friday. The question then you’ll ask me is, “Josh, why, why, why, oh why, do people perpetuate this myth?” Well, I’m afraid there is a number of plausible reasons why they might perpetuate this myth, both Google and other SEOs. One is because it’s easy. An SEO who knows half of what they’re doing can get a list of links and put them in a disavow file and give them to a client in about five minutes to upload. In fact, there are programs that will do it for you very quickly. Are they selling snake oil? I don’t know, but I could not prove that the disavow file helped in any way, shape, or form for trying to get out of Penguin. Two, there is another reason why Google might possibly — I’m just putting it out there for your consideration — perpetuate the myth — as far as I can tell it’s a myth — that the disavow file will help you escape from Penguin is because you’re feeding their machine learning. Every link you put in there, it’s entirely possible they can run through their algorithms, which Matt Cutts has admitted, at SMX Advanced 2013, they might just think of doing at some point in future, so they can tell what these badder spammy links are. To confirm that hypothesis, I would have to see no links lost in Majestic and no links lost in Ahrefs whatsoever, and, of course, I’d have to see an uptick on a declared Penguin date for me to say, “Well, jeez, the evidence looks like they have released on Penguin, and they had no deleted links.” Then I’ll take your word for it that you submitted a disavow file, because, of course, I can’t see that. Only the site owner can see that, or you can give me your login whatever. You can trust me. Until that time, I’m saying the myth is busted. The disavow file alone does not help you escape from Penguin, maybe in combination with deleting links, I’m not sure. I’m saying the disavow file is, unfortunately, the opiate of the masses. It is a safe myth we believe in because it makes us feel warm and snuggly at night. But I’m afraid that, after scientific testing, I cannot prove that that is case. I’ve come away from that with two more suggestions that I would recommend. One, I would stop paying for it. I would stop buying it. I would stop paying people to simply make you a disavow file and upload it. I would tell SEOs to stop selling that as a service alone. Of course, in conjunction with other services, fine. But that as a tactic alone, that’s not going to do anything at all, because the evidence, so far that I’ve seen, doesn’t suggest that it will. Furthermore, a more general point, it might be a good idea to think about stop selling and stop buying from-the-hip SEO, where SEOs are selling services based merely on hearsay and as much as we can, in our industry, triangle more for science based SEO or data based SEO. That is my Whiteboard Friday for this week. If you have any questions at all or you want to e-mail me, yell at me, contradict me by all means, or please send me more sites I can test that may have sites that didn’t delete any links, but did see an uptick on Penguin. By all means, join in the comments below, or e-mail me at JoshBachynski@gmail.com with that or any other questions. With that, I bid you adieu, and we’ll see you again next time. Bye-bye. Oh no, another year-end roundup! But before you click away, let me sell you a little on why this is the roundup you actually want to read. Moz Top 10 over the last year, we probably read 50 or more articles EACH WEEK, that’s around 100 articles for every issue. We then spent innumerable hours curating and culling until we could share with you the very best of those articles in the bi-weekly Top 10.
we read 2,600 (or so) articles so you don’t have to. There’s no formula for what makes an article Top-10 worthy. We look for the best content of each two week period and then try and winnow and fit it until each newsletter contains just the right balance of digital marketing tips, tricks, analysis, and inspiration. We work to reach beyond SEO and find articles that will help people who specialize in content, social, design, UX, and more broaden their skill set and understand the work their marketing compatriots engage in. The mix and style changes as the author of this newsletter changes. I’m biased toward content marketing, Cyrus loves SEO. Trevor’s a sucker for a journalistic slant. But whoever is writing the latest edition is trying to find that perfect balance so you come away from the newsletter having found at least one article that teaches you something new, changes the way you think about marketing, or makes your job a little easier. well written, well illustrated, and comprehensive. Sometimes we publish something because it’s a really good resource or because it says the thing that needs to be said. heart-achingly eloquent. And sometimes we include a little something fun, playful, or easy on the eyes (but still educational) at the end to finish your day off right. breaks (ahem, Google) and we reconfigure it all. or some era is over, but Search Engine Land already did that, so I wanted to take a different approach. 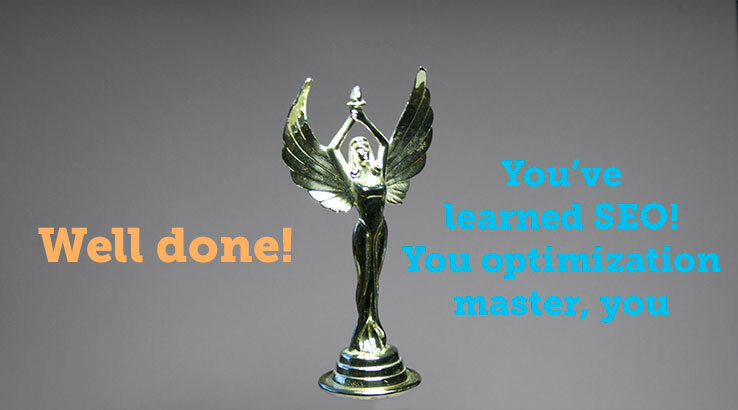 If you can master life, all that marketing stuff is a cake walk. Level up in your day-to-day with this thoughtful, comprehensive, and gorgeous guide from Oliver Emberton. 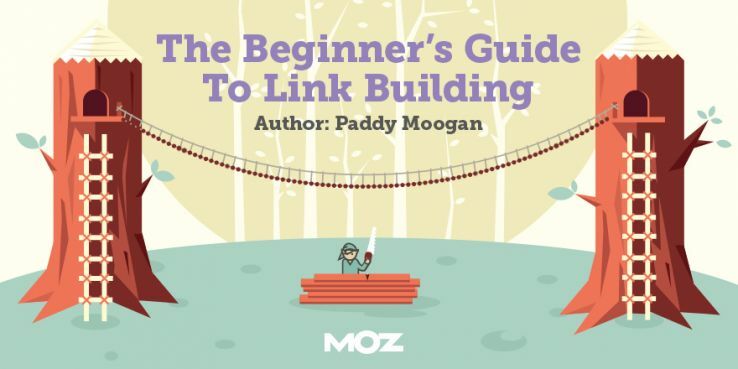 Paddy Moogan knows a thing or two about link building, and here he’s teamed up with some folks at Moz to turn all of that information into an easy-to-follow yet comprehensive guide. I had no part in this project, so I can safely tell you I <3 the Zelda references. From getting customer interviews right to nailing content promotion, this massive guide from Distilled covers everything you need to know about content strategy. I learn something new (or rediscover something I should never have forgotten) every time I read it. If you don’t know what micro data are and you haven’t figured out what to do with Schema.org, your content marketing is missing a crucial element for SERP success. BuiltVisible to the rescue with this amazing and easy-to-follow guide. 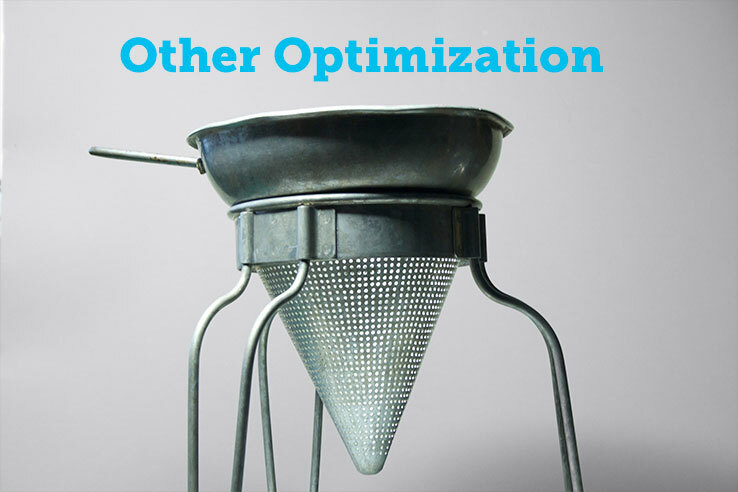 If you suspect there’s a blockage in your sales funnel, it’s time to think about CRO. This guide from Qualaroo will tell you everything you need to know to start pinpointing (and fixing) your barriers to conversion. A survey so big we can only do it once every two years. Peek at salaries, tools, and trends to compare where the digital marketing industry was at the beginning of 2014 to where you are now for a peek at what the future may hold. 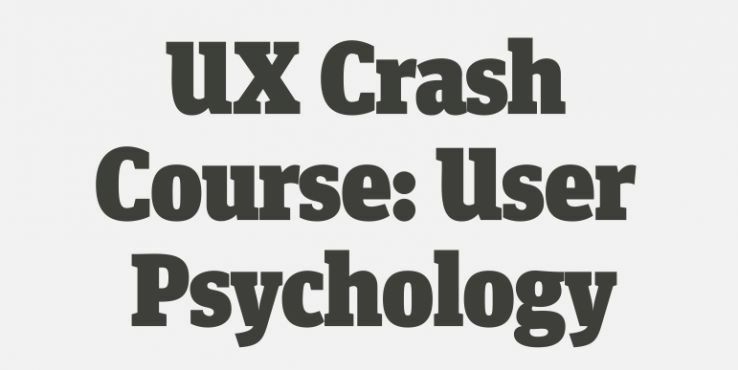 Composed of 31 lessons, this online “course” will help you understand user motivation and how you can use psychology to massively improve your user experience. Sometimes looking at information from a slightly different angle makes it easier to digest. 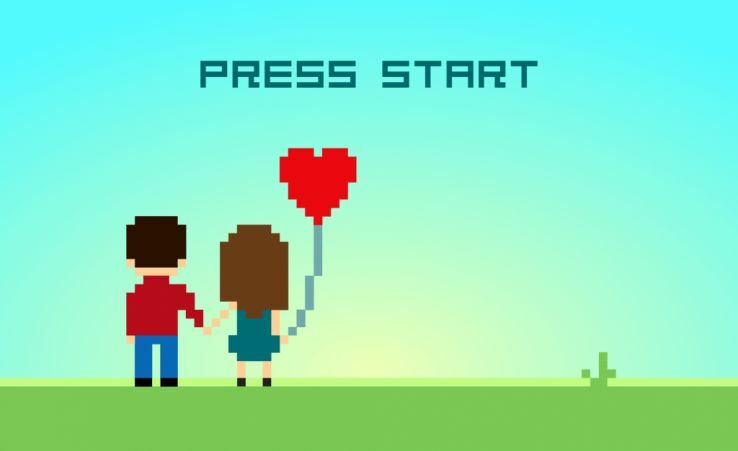 In this delightful piece, Ian Lurie teaches us when it’s okay to game the algorithms at the same time as he’s spelling out, in plain language, what each algorithm update was really about. Favorite part of this amazingly detailed post from SEER? The fact that it starts from a user’s perspective. So whether you want to “stalk your competitors’ stocks” or “keep track of industry meetups,” there’s an answer (in the form of an IFTTT recipe) here for you. 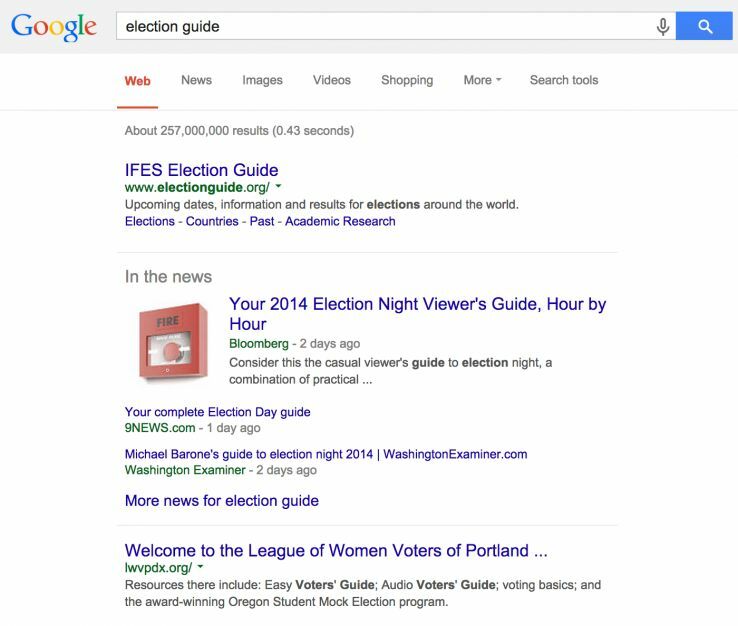 So much changed in the realm of rich snippets last year. 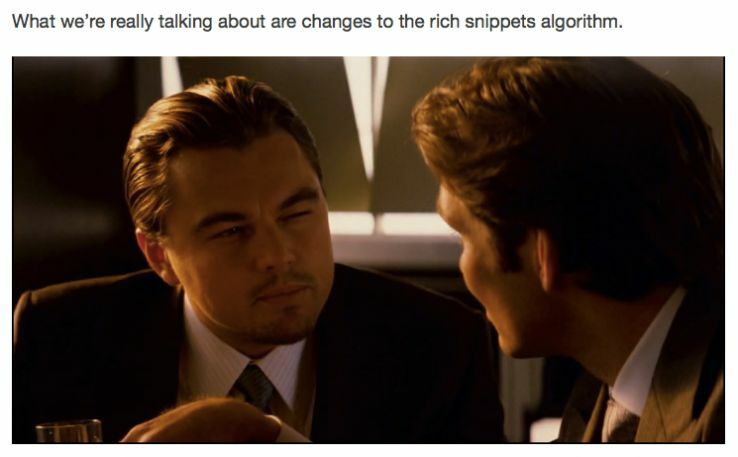 AJ Kohn delves into the relationship between those rich snippets and knowledge graph results. 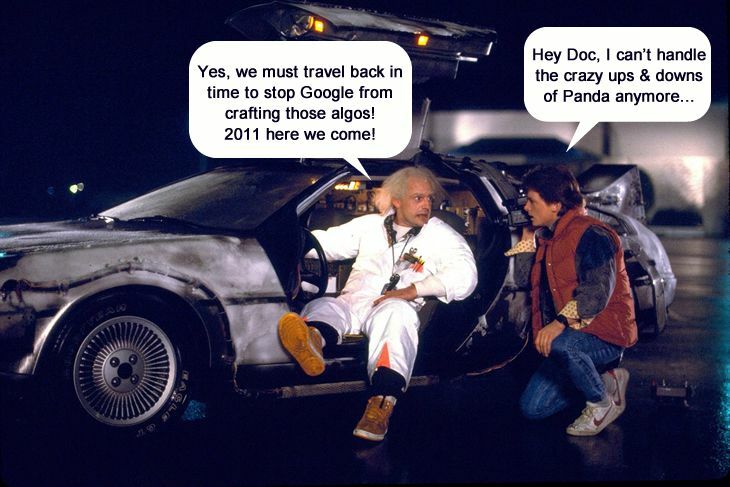 It’s a heady post that just might offer some interesting insight into the future of SERPs. Like what you see? Want us to read all the articles while you peruse a summary of the most important things you need to know? After you click that big red button, you’ll be taken to the Moz Top 10 page and asked to enter your email and hit “subscribe.” At that moment we’ll put you on the list for the very next edition, currently scheduled for January 13. And if you’re someone who’s writing Top-10-worthy content and we just haven’t found you yet, we want to read what you’ve got. So please send us your suggestions. Each edition of the Moz Top 10 only covers content from the most recent two-week period, so send that link while the content is still fresh. 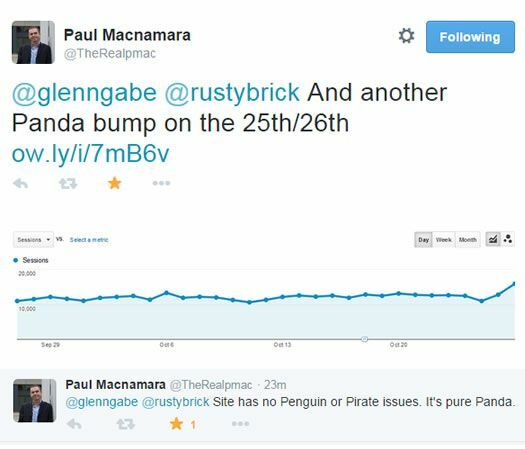 the potential problems Google was battling with Penguin (cough, negative SEO). for some reason. And many are still waiting for recovery today. 3.0 rollout is a great example of why confusion can set in. That’s my focus today. up a very a strange anomaly on October 24. And I clearly saw serious movement on that day (starting late in the day ET). but it underscores the confusion that can set in when we see extended rollouts, with a mix of confirmed and unconfirmed updates. published a blog post based on the first ten days of the update, which included some interesting findings for sure. 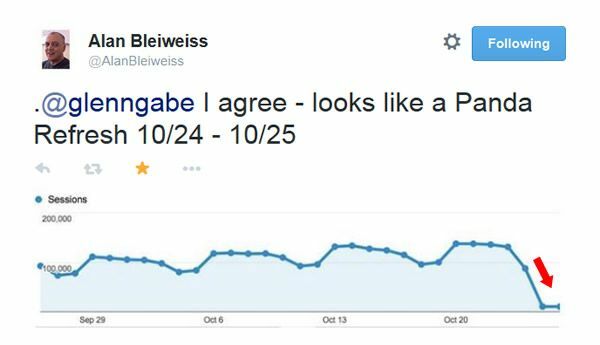 website seeing Penguin impact on October 17, 22, and 25.
that’s when something wonderful happened, and it highlights the true beauty and power of the internet. internet world was clearly focused on Penguin 3.0.
trifecta of algorithm updates with Penguin, Pirate, and now Panda. levels. And I don’t blame anyone for being confused. I’m neck deep in this stuff and it confused me at first. us it was Panda! Or did they want to throw off SEOs analyzing Penguin and Pirate? Does anyone have a padded room I can crawl into? first of its kind! So yes, Google can, and will, roll out multiple major algos around the same time. nearly weekly based on having access to a large amount of Panda data (across sites, categories, and countries). And based on what I was seeing, I reached out to John Mueller at Google to clarify the tremors. John’s response was great and confirmed what I was seeing. SERPs, refine the algo to get the desired results, and keep pushing it out. And that’s exactly what I was seeing (again, almost weekly since Panda 4.0). …they will have a cup of coffee and laugh at us. 🙂 So, since Panda is near-real time, the crossing of major algorithm updates is going to happen. And we just experienced an important one on October 24 with Penguin, Pirate, and Panda. But it could (and probably will) get more chaotic than what we have now. 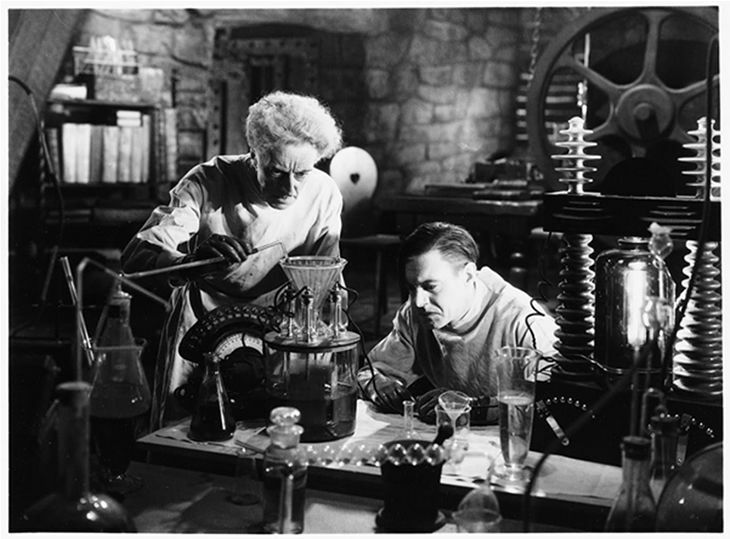 We are quickly approaching a time where major algorithm updates crafted in a lab will be unleashed on the web in near-real time or in actual real time. problems, while also being extremely scalable. And by the way, it should scare the heck out of anyone breaking the rules. Gary explained that the new Penguin algorithm (which	clearly didn’t roll out on October 17) would be structured in a way where subsequent updates could be rolled out more easily. we’ll have absolute chaos and society as we know it will crumble. OK, that’s a bit dramatic, but you get my point. 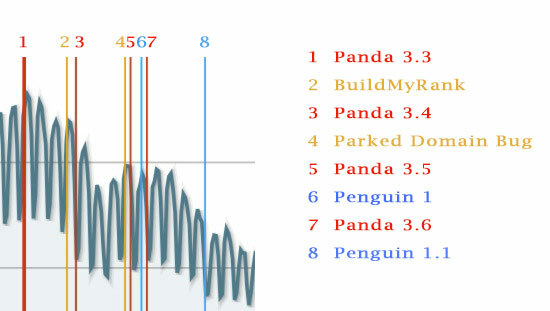 After Panda 4.0, I saw some very strange Panda movement for sites impacted by recent updates. And it underscores the power of near-real time algo updates. Here is a screenshot from a site that recovered from Panda, didn’t get out of the gray area and reentered the strike zone, just five days later. you’ve been hit by Panda. Get as far out of the gray area as possible. actions viewer,” but focused on algorithms that are demoting websites in the search results (versus penalties). Yes, there is a difference by the way. Fold, and others. Needless to say, this would be incredibly helpful to webmasters, business owners, and SEOs. addressed this question during the November 3 webmaster hangout (at 38:30). focus on how this impacts webmasters as it relates to algorithm updates and webspam. SlashFilm that his fellow movie blog owners should all pay him a bonus this year. He’s the one that pinged Matt via Twitter and got the ball rolling. push changes through so sites can turn around? And even at its most basic level, will they even be aware the problem exists? running a marathon or	trying on new Halloween costumes. Then where will you be? now, before major algos are running in near-real time. Truly understand the weaknesses with your website. Google will continue crafting external algos that can be injected into the real-time algorithm. And they will go real-time at some point. Be ready by cleaning up your site now. information is incredibly valuable, and can help lead you down the right recovery path. 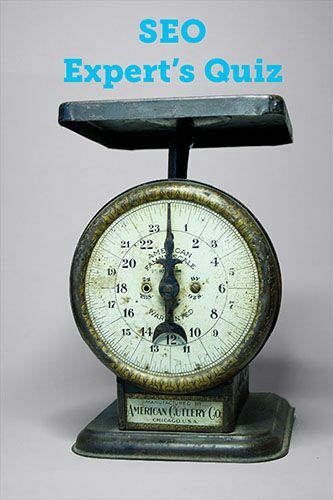 websites to accurately measure quality. Bias can be a nasty problem and can quickly lead to bamboo-overflow on a website. to be implemented, and take action. That’s how you win SEO-wise. Summary: Are you ready for the approaching storm? 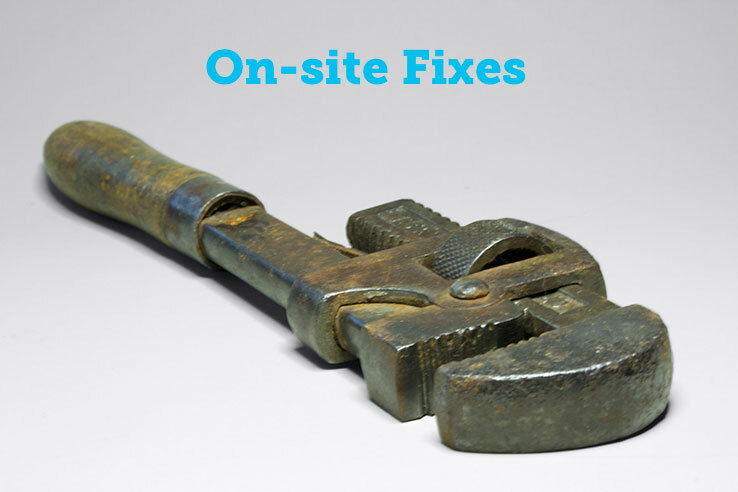 then fix, problems riddling your website. This video is telling the latest Google algorithm update for Exact Match Domain. The video is made by http://www.indian-seo-company.com for internet marketers.